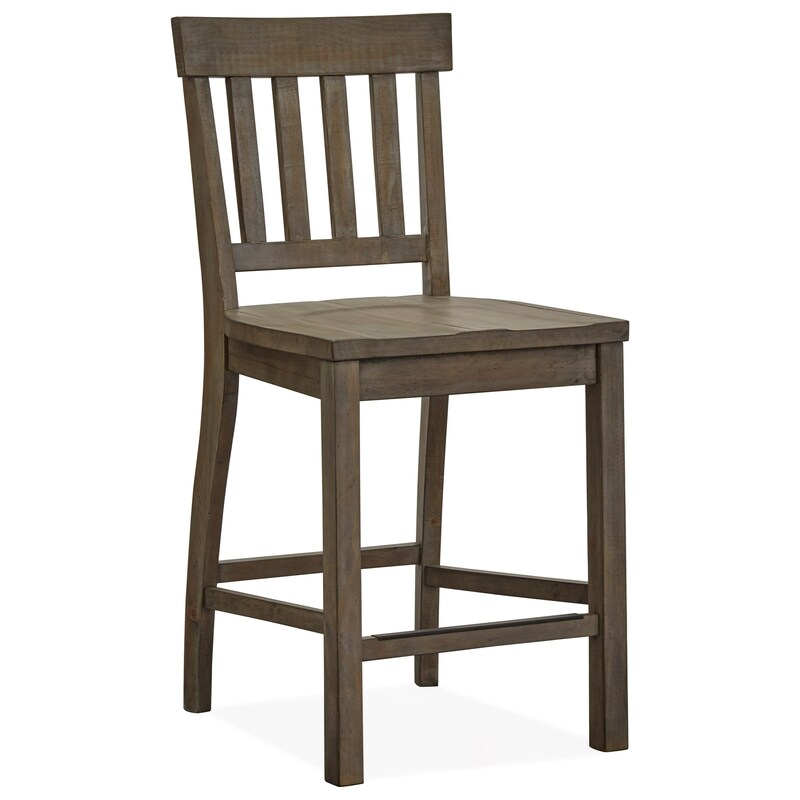 This counter height dining chair features a contoured seat and slat back. Paired with its relaxed vintage design, this stool creates a welcoming and charming place to sit around your table. The Tinley Park Relaxed Vintage Counter Stool with Slat Back by Magnussen Home at Reeds Furniture in the Los Angeles, Thousand Oaks, Simi Valley, Agoura Hills, Woodland Hills, California area. Product availability may vary. Contact us for the most current availability on this product. The Tinley Park collection is a great option if you are looking for Relaxed Vintage furniture in the Los Angeles, Thousand Oaks, Simi Valley, Agoura Hills, Woodland Hills, California area. Browse other items in the Tinley Park collection from Reeds Furniture in the Los Angeles, Thousand Oaks, Simi Valley, Agoura Hills, Woodland Hills, California area.